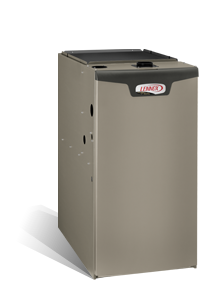 Exceptional Comfort: The iQ Drive furnace customizes its operation based on your home’s needs. 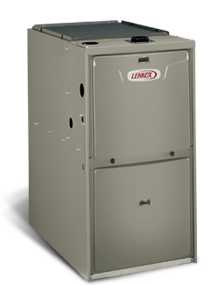 The furnace analyzes the indoor temperature every 60 seconds and adjusts its percentage of firing accordingly – from between 100% to 50% with the gas valve and down to 15% with time proportioning through the thermostat. Ultra Quiet: The quiet motor is encased in an insulated cabinet for ultimate sound reduction. The motor ramps up to speed, minimizing the abrupt change in sound found when a standard single-stage furnace motor cycles on and off. iSEER®: This furnace features iSEER technology, which can boost the cooling efficiency of a 13- or 14-SEER outdoor unit by up to 1 SEER point. 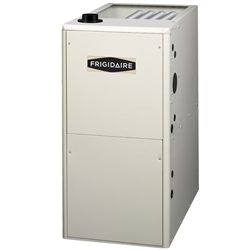 iQ Drive Ready: This furnace can be paired with an iQ Drive air conditioner or heat pump for ultimate efficiency and comfort. Green: Because of its energy efficiency and high-end comfort features, this unit qualifies for our ecoLogic™ green seal. Quality Made: Factory checked 234 times before being shipped. The iQ Drive fully modulating gas furnace continuously adjusts its heat output to exactly match the needs of your home. You’ll notice a more uniform mix of air throughout your home, with virtually no hot or cold spots, and improved air filtration. 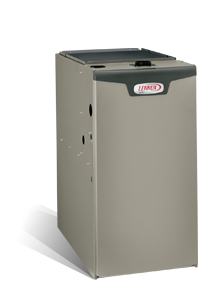 Comfortable, quiet home heating…that’s what you can expect with an Airtemp® gas furnace. Less than 35 inches high with an appliance-grade cabinet, these furnaces reliably and efficiently deliver consistent temperatures throughout the home, year after year. High Efficiency: Functioning at 92% efficiency, our 92.1% AFUE furnaces offer considerable energy and operating cost savings at an affordable price point. Manufactured to high standards: 100% test fired and tested during each critical step of the manufacturing process. Multi-speed direct-drive blower: Designed to provide a wide range of airflow delivery so there is one that’s just right for your home’s system. Dependable heat exchanger: The furnace’s key component is backed with a lifetime limited warranty upon product registration. See warranty details for more information. Blower Compartment: Insulated for ultra quiet operation. Designed and assembled in the USA: Airtemp® products are designed, assembled and repeatedly and thoroughly tested in the heartland of America.